From 1977 to 1996 I was exhibiting art in New Zealand galleries in solo and group shows, and receiving good reviews and public response. 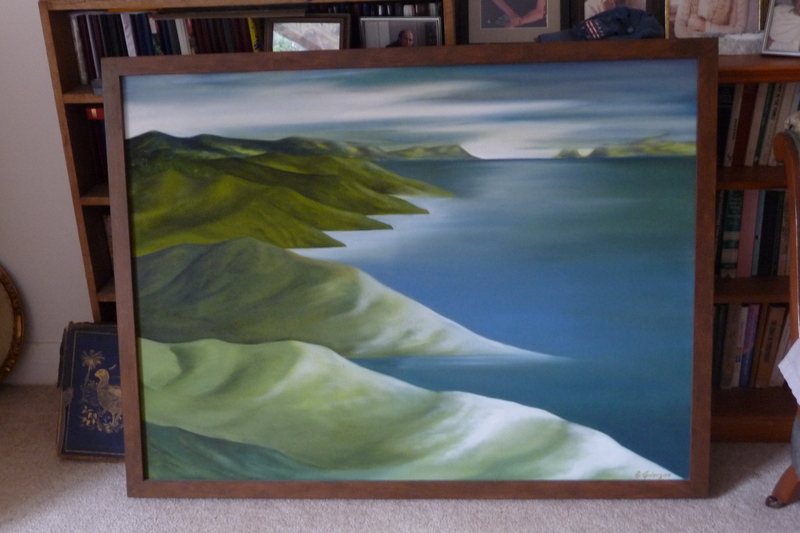 I stopped painting in 1996 when my son Campbell was killed while climbing Aoraki Mt Cook (25 January 1996), followed soon after by the death of my eldest son Hugh from medulloblastoma, a fast growing high-grade malignant tumour on the cerebellum (12 January 2001). After these two deaths I put painting aside, and focused on researching, writing, and publishing on art, aesthetics and education, and studying law in honour of my two sons, Campbell and Hugh. Artwork Published Selected for Epsom Girls Grammar School 2004 calendar, Month of November. Title: Sands, Pakiri. 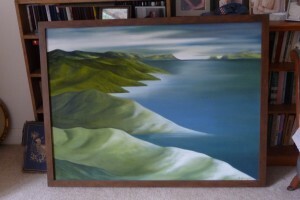 Oil/Canvas, Private Collection, Auckland. 1999 ASA Anniversary Exhibition: Work by 18 selected Honorary Life Members of Auckland Society of Arts, ASA Gallery, Auckland. 2 works exhibited expressing ideas of representation: To the Sea (1999), photograph 35 mm, poster size (published in Exhibition Catalogue); & Origins from Horizons Exhibition (1977) (oil/canvas). 1998 ASA Winter Exhibition, ASA Gallery, Auckland. 2 works exhibited: Metamorphosis: Facing the Tree (oil on canvas); & Connections (oil/canvas). 1997 RE-VISION at ASA Gallery, Auckland. AIT School of Art & Design Staff Exhibition, oil/canvas. 1996 TRANSFER at ASA Gallery, Auckland. AIT Visual Arts Staff Exhibition. Title of works: ‘I was going to do a painting…’ (photocopy and photographs) (1996). 1994 ASA Tutors’ Show, ASA Gallery Ponsonby. Title of works: Travels to Olivia, Bodies of Signification, Semiotic Intervention into the Minimalist Grid. (digital text & laser photographs). 1993 Up Against the Wall ASA Tutors’ Show, ASA Gallery, Ponsonby, Auckland. Title of works: The Subject as a Found Object (Installation of found photographs, photocopy, Victorian lace bertha). 1987-92 ASA Tutors’ Annual Shows, ASA Gallery Ponsonby. Paintings (oil on canvas). 1985-1986 Solo Exhibition: Paintings (mixed media), Whitecliffe Gallery, Auckland (1986). Solo Exhibition: Paintings (mixed media), Whitecliffe Gallery, Auckland (1985). 1984 Women’s Visual Diaries Exhibition, AWA Auckland Women Artists Association, Outreach Gallery, Auckland. Title: Installation Diary (A-Z cards, case, runner, cushions). Solo Exhibition: Autumn Testament (mixed media), Whitecliffe Auckland. Solo Exhibition: Autumn Testament (mixed media), Molesworth Gallery Wellington. Solo Exhibition: Land & Identity (mixed media & lithographs) Whitecliffe, Auckland (1983). Solo Exhibition: Land and Identity (mixed media) Whitecliffe, Auckland (1982). Solo Exhibition: Painting & Drawing Aldenham Gallery, Palmerston North (1982). Solo Exhibition: Paintings ASA Gallery, Eden Crescent, Auckland (1981). Solo Exhibition: Earth Sea and Sky (mixed media), Gallery 2 Auckland (1980). 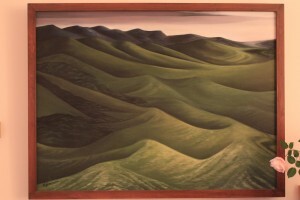 Horizons (mixed media), Aldenham Gallery Palmerston North (1978). Pacific Edge (mixed media), Waikato Art Gallery Hamilton (1978). Horizons (mixed media), ASA Gallery Eden Cresc, Auckland (1977). 1985 Solo Exhibition: New Zealand Land and Landscape Identities. NZICE Conference University of Auckland, Auckland. 1984 Crippled Children Society Exhibition, Auckland. Title: Monday (stone lithography). 1970s Manukau and Beyond Zonta International Art Exhibition Manukau (1979). Rosehill College Art Exhibition, Papakura, Manukau (1978). 1979 Wesley College, Paerata. Title of works: Opito Headlands Diptych (oil on canvas). Australia; Hawaii; New Jersey USA, Zurich Switzerland. 1980-1990s Curatorial management in a variety of group shows and school exhibitions; nominating artists for exhibition; negotiating with and for artists; establishing policies and strategies for exhibition practice; writing critical reviews and policies; design & production of catalogues, and promotion. 1970s Manukau and Beyond Zonta International Exhibition, Manukau (1979). Images and details of exhibitions to be uploaded.